Kaddish, Mishnayos recited three times daily, for eleven months and on the day of the Yahrtzet perpetually - $360. 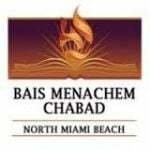 Bais Menachem will notify members of the family of the upcoming date of Yahrtzeit. For more information please call our office 305-770-4412 or email, secretary@bmnmb.org.